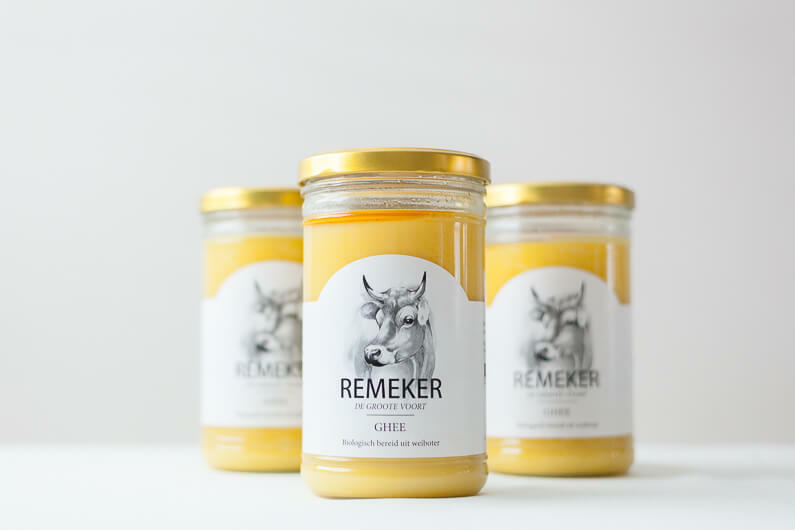 Our ghee is prepared on the farm ‘De Groote Voort’ from the whey butter of the milk of our beautiful Jersey cows. 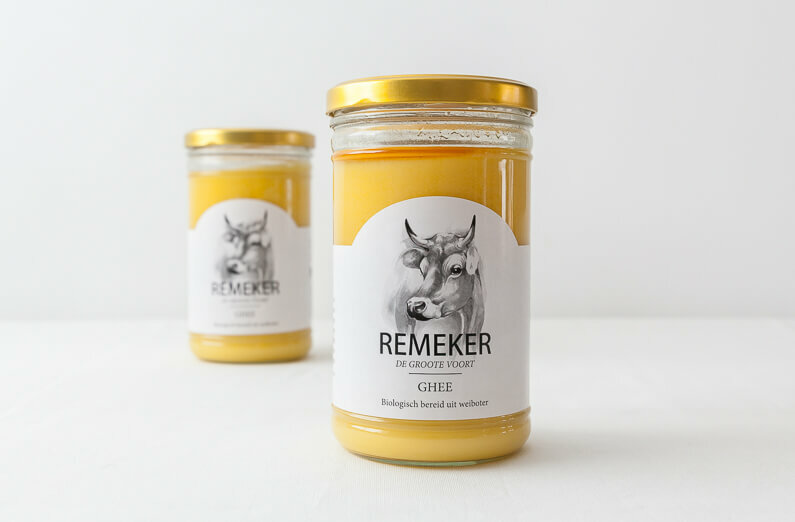 Ghee is pure milk fat – yes, milk fat with a nutty aroma. does not splash when heated and has a long shelf life. It turns out to be particularly healthy! 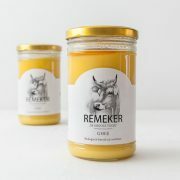 We pour the ghee into handy glass jars (750 gr). air exchange is still possible. 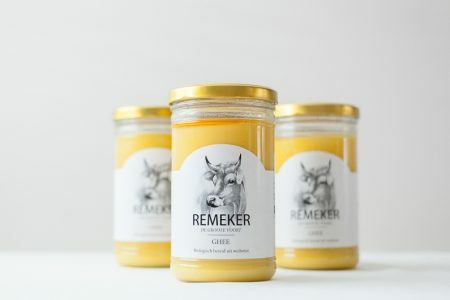 Ghee, stored at room temperature, has an unlimited shelf life.